Catching Fire Designs is honored to be a part of this historic Fine Arts Festival! ART DECO/MODERNE Collection at this event! Be the first to own one of these hand sculpted, urban designs with timeless appeal. 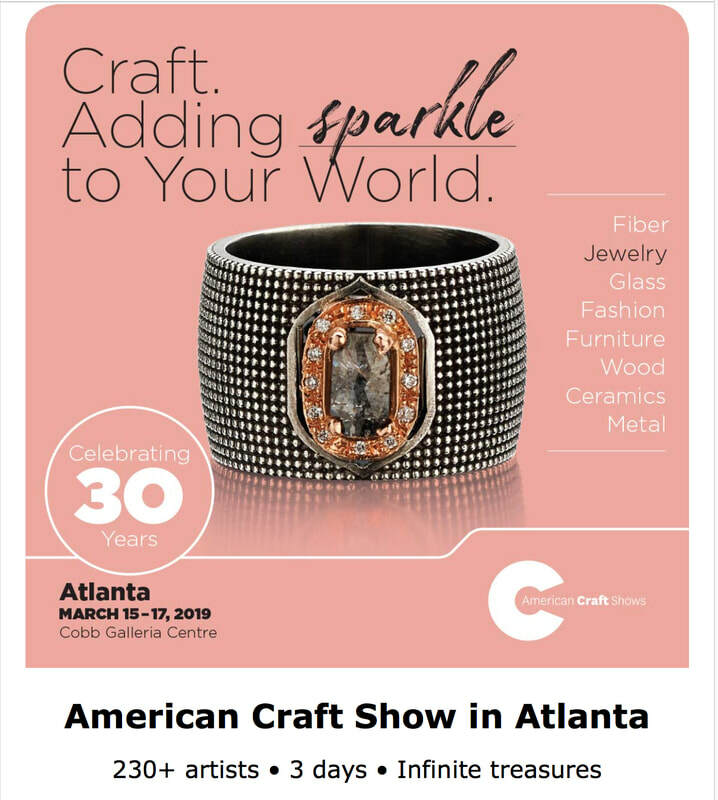 Visit me in Booth A-214 Mention this announcement, and receive 10% off your purchase! Catching Fire Designs, debuting it's new Architectural Series is overjoyed to be the featured artist, in partnership with artist Coyee Shipp Langston, for the month of December at In Town Gallery. For a Sneak Peak, check out the "It's All New" page! Catching Fire Designs is delighted to be the featured jewelry artist for the 7th annual STARS event in Nashville. Tickets are still available for the concert & cocktail reception, art auction & to meet local legends! Visit cherishthenight.org. CFD will be presenting it's radiant Fall collection featuring a stunning array of beautiful gemstones such as Rainbow Jasper set in striking sterling silver & copper! *STARS is a nonprofit organization that supports young people through social and emotional barriers they face through 5 evidence bases school & community programs addressing issues like bullying, substance abuse, violence, etc.